Video games are a very popular pastime among youth, especially children and adolescents. Even adults have their fair share of fun playing video games these days. Unfortunately, for those who become consumed by video games and the desire to play on, the addictive nature of this pastime becomes all too real and potentially dangerous too. Video game addiction, though not year clearly defined as a behavioral disorder, affects people similarly to Pathological Gambling potentially ruining their lives. Excessive playing of video games can lead to addiction. According to the University of Pittsburgh, overuse of video games that is pathological in scope and which includes compulsive use of video games is considered video game addiction. People who suffer from this up and coming condition are likely to play compulsively, isolate themselves from social normal and contact with others and will focus most of their time on video games. Studies show that young gamers are most likely to become addicted to video games but teens, young adults and even older adults have also become victims of video game addiction over the years. Social outcasts, such as those who do not have a lot of friends and are not “in” socially with the crowd are also at an increased risk of becoming addicted to video games. You may think that since video game addiction isn’t yet written in the books as a textbook style addictive situation that it’s ok to let children and teens play as much as they want. After all, it’s all fun and games right? 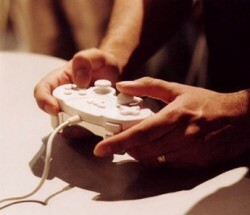 Unfortunately, there are confirmed cases in which people have actually died as a result of their obsession with video games—not that the game itself kills anyone but that the neglect for personal responsibilities places the player at a substantial risk for things like malnutrition, dehydration, and other serious problems. An estimated 92% of children are exposed to video games and regularly take part in playing the games. Studies estimate that gaming doesn’t end when teens grow up, an estimated 65% of college students also take part in the gaming fun. Of those who play, an estimated 6-15% are considered to be compulsive gamers that are actually suffering from a video game addiction. In South Korea, a man actually died as a result of a heart attack which occurred after he played video games for over 50 hours without focusing on his own self needs. In another case, an infant was killed when the father was too busy playing video games for many hours rather than taking care of the baby; the child suffocated. Playing video games for multiple hours a day and lacking time with friends or others. Missing class or lying about being sick in order to stay home and play video games. Missing assignments, failing grades or dropping out in order to play video games. Dropping out of hobbies, sports, social groups or other activities in order to play games. Lying about video game use. Stealing money or spending excessive amounts of money on video games. Playing games to cover up or cope with emotions. Feeling guilty about the amount of game play taking place, but playing anyway. Spending hours on video games rather than spending time with family or on responsibilities. Racking up large bills for video games, online gaming or other expenses associated with playing video games. Attempting to quit playing or to cut back game time and failing. Promising a loved one or family member that game playing will stop or be cut back and falling back on the promise. A desire to quit backed by an uncontrollable urge to keep playing. Feeling mad or otherwise upset when game playing is interrupted or cannot take place. Becoming pre-occupied with video games and feeling upset when unable to play or when play is interrupted. Stress injuries on the hands or the wrists. Carpel tunnel syndrome or a pain in the wrists. Insomnia or an inability to sleep through the night because the individual is thinking about gaming. Malnutrition or dehydration which occurs as a result of a failure to take care of one’s self due to a preoccupation with the game. Dry eyes and vision problems from looking at a screen for too long. Personal hygiene problems which can lead to infection or other complications. People who spend the majority of their time playing video games can be vulnerable and uncomfortable dealing with real world situations. Stress can be very difficult for them to cope with and it can be very stressful to have the video games taken away and to be forced to cope with life. As such, it’s important that the therapist or treatment specialist who provides help for the individual suffering from the addiction is aware of the issues surrounding his or her life and is also specialized in providing quality care for this type of condition. If you know someone who is addicted to video games, chances are they will not readily be willing to seek help right from the start. It’s important that you consider talking with your friend or loved one about the problem first and do what you can to get them to understand that their gaming has spiraled out of control and is causing problems in their life. Upon having this conversation, you may find that you need professional help in order to get them to stop for good—this is where finding treatment for the addiction comes into play. You’ll want a therapist who is experienced in treating this type of addiction. You’ll want to choose a treatment professional that actually believes that video game addiction is a real problem (some do not). Choose a treatment professional that can provide an array of treatment offerings including behavioral therapy, CBT, psychotherapy and support. Choose a treatment program that’s close to home so that treatment is easily accessible. Don’t be afraid to discuss the reality of the problem, don’t hold back and be honest about everything that you tell the treatment provider. Consider a support group for added security and help—there are many different ones to choose from. In a society where it is completely normal to take part in gaming and interacting online, recovering from a video game addiction can be quite challenging—but it’s not impossible. While you will continue to need to be cautious about your gaming and the activities that you take part in for the rest of your life following a video game addiction, you can get well and find your way. Recovering from video game addiction is about taking the time out to get the help that you need and it’s about learning about the dangers and risks associated with such compulsive behaviors. With counseling, support, therapy and guidance, most people are able to make a full, long, lasting recovery from this addiction and later live a normal life. Don’t be afraid, seek help today. Can You Really Have an Addiction to Video Games? - Video games are a common form of entertainment, and even learning, in today's society. Children start to play these games from a young age, and their presence in their lives is ubiquitous. This can be dangerous, as playing video games can lead to addictive behaviors.